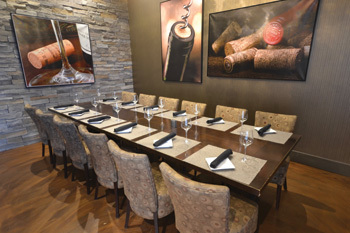 Fine dining, exceptional wines and a comfortable, elegant room—this is what you can expect in private dining at Capital Prime. 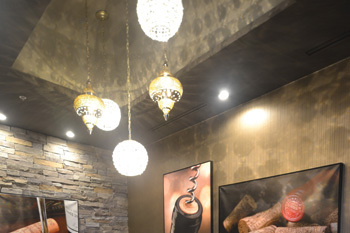 Our staff will anticipate your every need so that you can relax and enjoy the occasion. 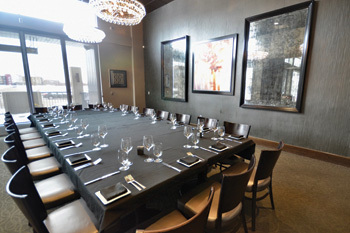 First, decide which one of our five well-appointed private dining rooms fit your specific needs to create a memorable event. 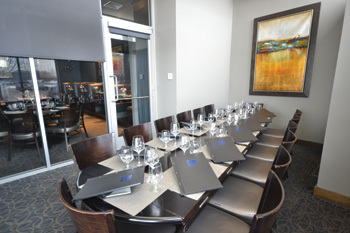 Then, select from one of our mouthwatering prefix menus, or let Chef Ryan Lucas customize your event. Finally, choose from our vast selection of wines and spirits, or allow our sommelier to help create an unforgettable pairing for your special day. 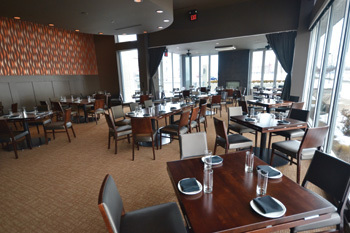 Contact William Kirby, Private Dining Coordinator, at 517-37PRIME to discuss a possible date, and for a complete guide of audio visual capabilities and contractual policies. 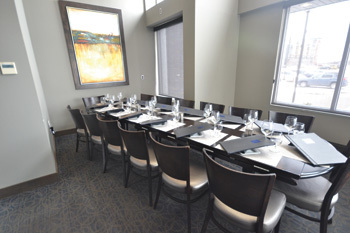 Our intermediate private dining room seats up to 42 guests or 70 standing at cocktail tables. Perfect for cocktail parties, receptions or business events. Glass doors open to a private fireplace and a patio where guests can mingle. Food and beverage minimums may apply. 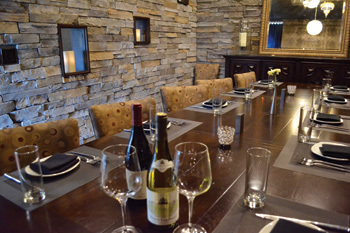 For intimate gatherings, our small private dining room is ideal, holding up to 18 guests. Food and beverage minimums may apply. 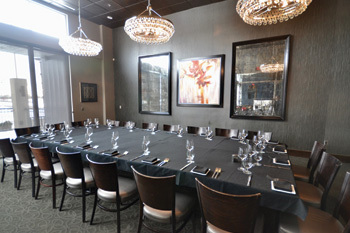 This elegant room is perfect for an intimate gathering up to 14 guests. Designed with the flair of a well-appointed home with a beautiful candlelit stone wall, relax while being served in comfort for business or pleasure. 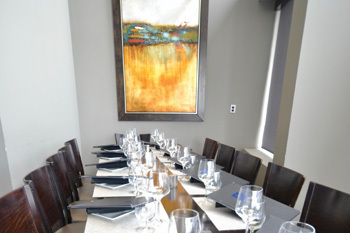 Perfect for small to medium sized events, this room seats 10-30 guests. 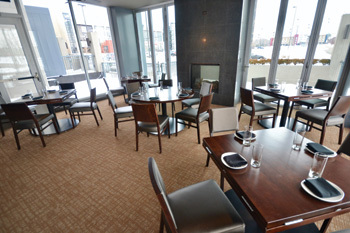 Enjoy a cozy fire in the cooler months or spill onto the patio soft seating weather permitting. Food and beverage minimums may apply. 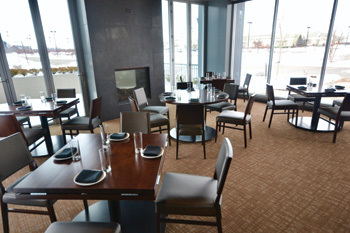 Host your next special party in Lansing’s newest event space. 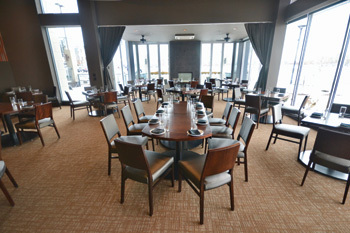 Modern and sophisticated, yet comfortable and inviting, ‘VINE at Prime’ can accommodate parties of 20-105 seated, 85 set for audio-visual presentations, and 150 for standing cocktail receptions. The space may be enjoyed in many configurations and is complimented by an inviting fireplace with glass doors that open onto a private patio where guests can mingle. Food and beverage minimums may apply.